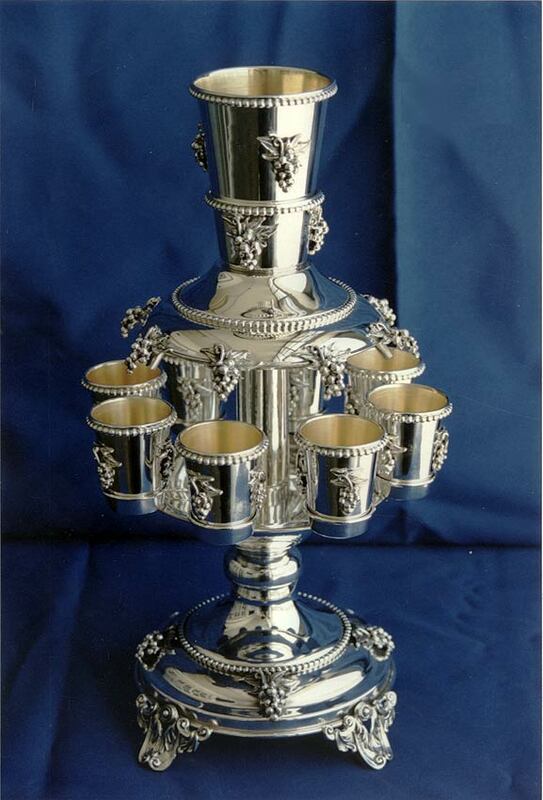 925 Sterling Silver Kiddush Fountain. Includes 1 large cup and 8 small cups. Designed and crafted in Israel by Yossi and Sons Silversmiths. Comes in an elegant gift box. Please allow 2-3 weeks for delivery.